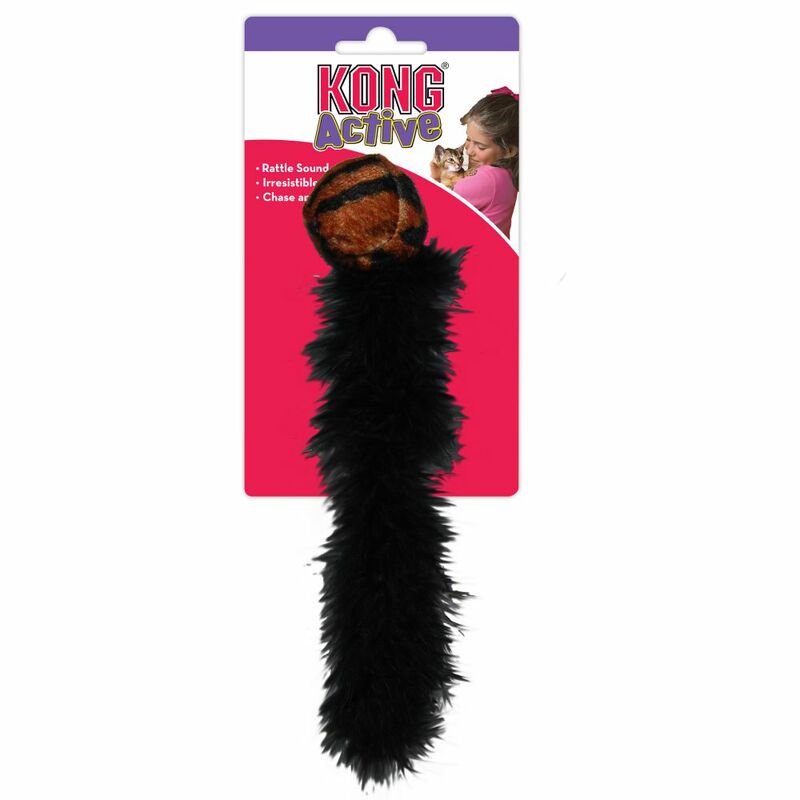 Your cat will find it hard to resist the movement of KONG Wild Tails skittering across the floor or flying through the air. 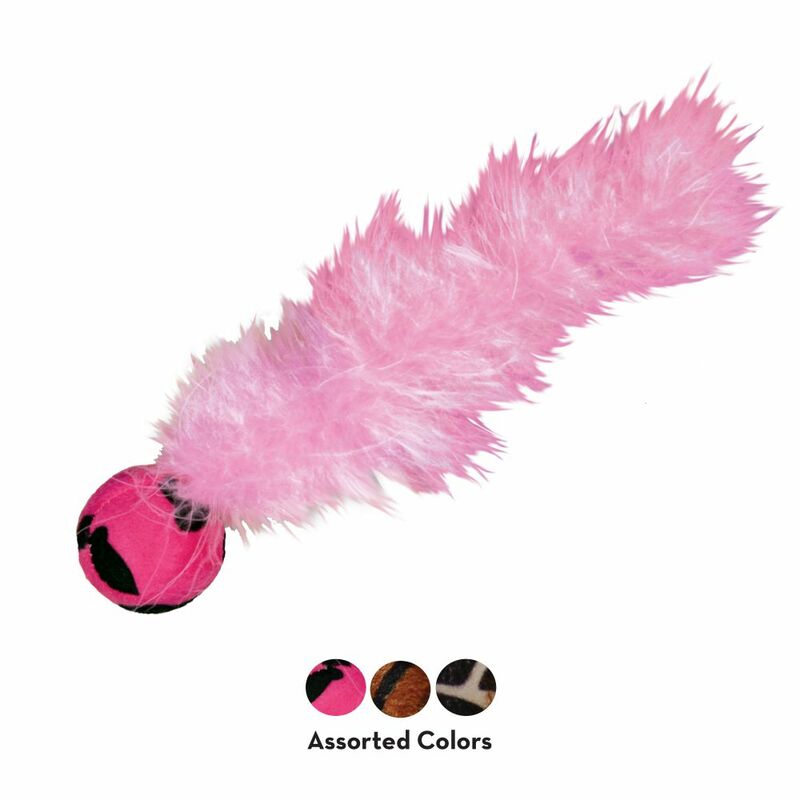 The extra-long, light feathery tails will dance and tease your cat as they attempt to pounce on the ball. A rattle sound adds extra excitement to stimulate play.